I have been on holidays recently, hence not as many posts over the last few days. However after I return from Sydney, whilst I will still be on holidays you can expect a whole lot more posts coming your way. Why? Cause Bondfest is coming. 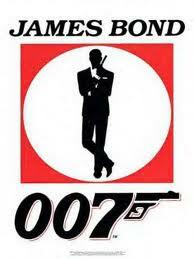 A week from today, the 23rd official James Bond film Skyfall opens in Australia. To celebrate I will be watching and reviewing all 22 existing films over a 4 day marathon effort, before reviewing Skyfall next Thursday. I am a huge fan of James Bond films, but not only that, the series was responsible for planting some of the earliest seeds of my love of film. Way before I would consider watching any other films more than a couple of years old, I was scrounging through the beat up VHS of my local video store to track down all the Bond films. I hope you will come along and check out these reviews, starting from this Sunday. It is going to be a mammoth effort, I did not entirely think through the commitment it was. But the commitment has been made, and it is going to be quite the ride. Good luck in what will definitely be a very intense, Bond-filled week :)!